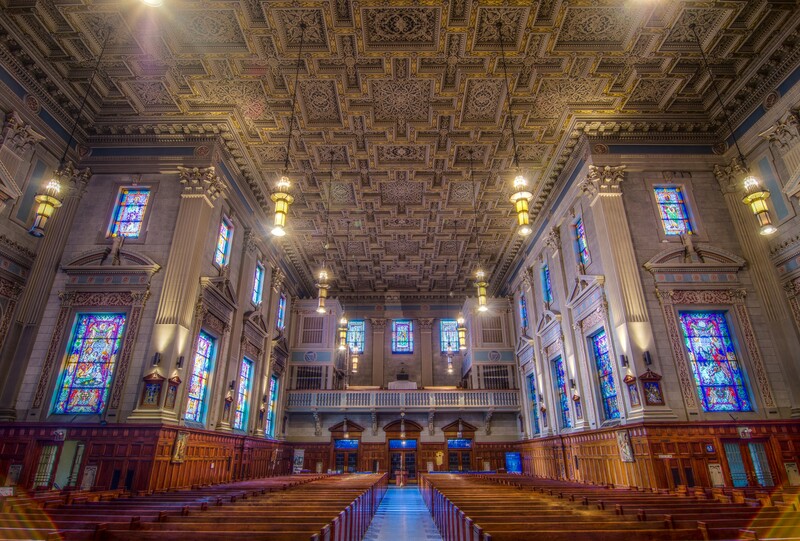 Our Lady of Peace was designed by noted Catholic church architect Joseph W. McCarthy and completed in 1935. 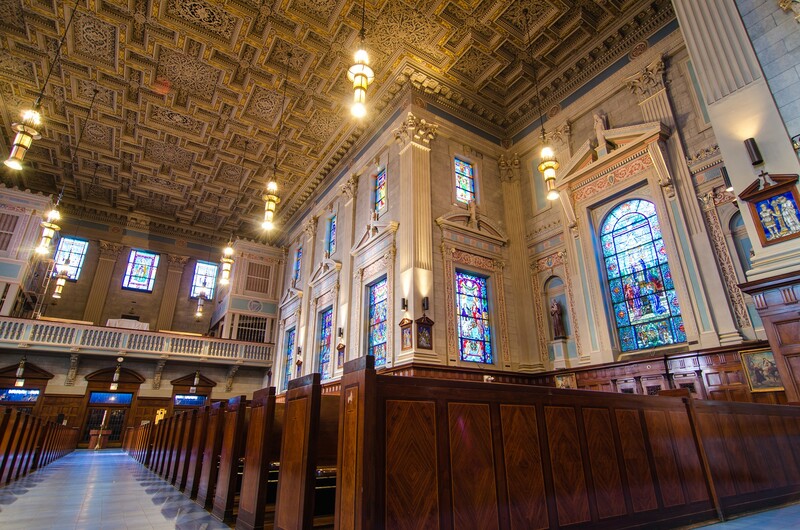 The simple exterior draws from early Roman churches. 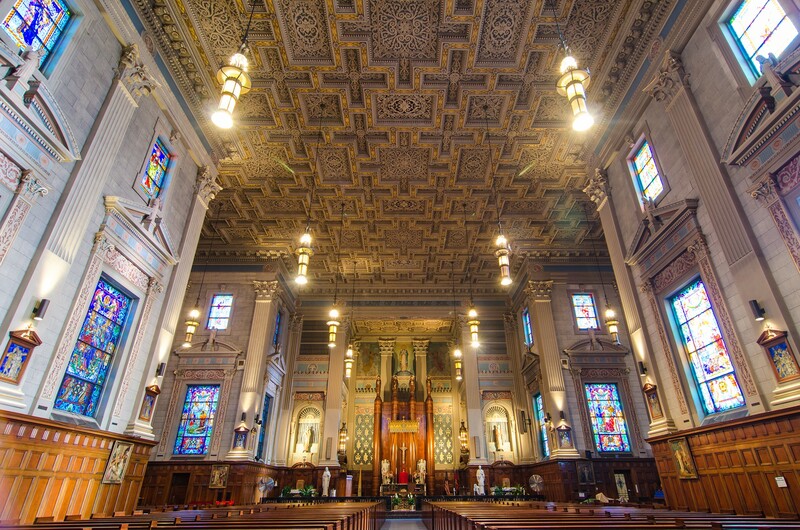 The more complex interior is filled with Italian Renaissance ornamentation, colorful stained glass windows and a vast, elaborate coffered ceiling. 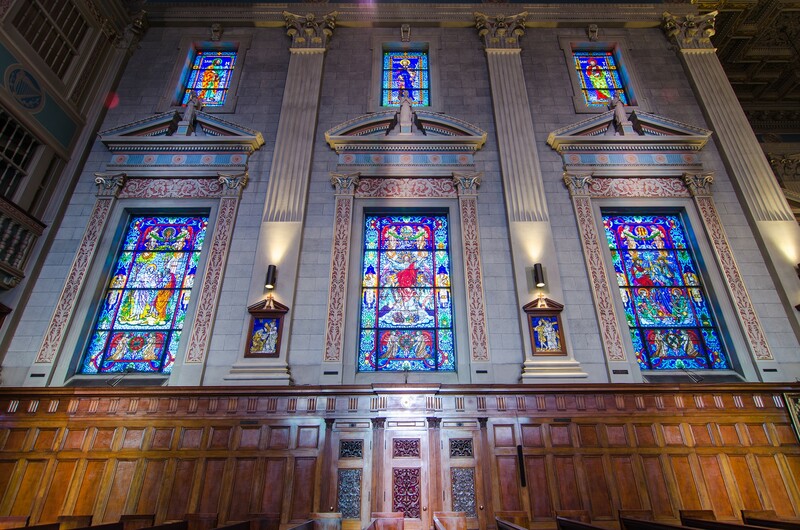 The sanctuary's tall, sleek wooden altar betrays a subtle Art Deco influence. 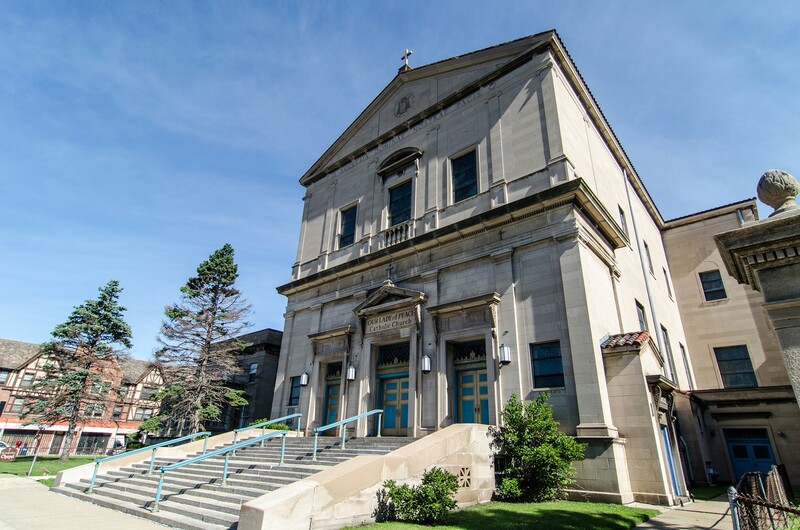 The church was originally built to serve South Shore’s large Irish and German Catholic population. Today, Our Lady of Peace offers Mass in English and Haitian French Creole.